The GeoPackage Java library was developed as part of the GeoPackage Libraries by the National Geospatial-Intelligence Agency (NGA) in collaboration with BIT Systems. 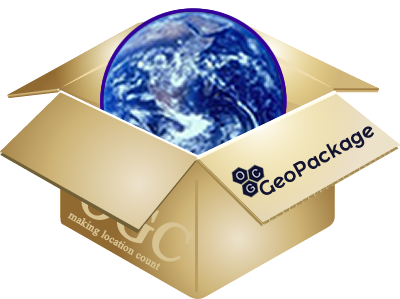 GeoPackage is a Java implementation of the Open Geospatial Consortium GeoPackage spec. It is listed as an OGC GeoPackage Implementation by the National Geospatial-Intelligence Agency. The GeoPackage Java library provides the ability to read, create, and edit GeoPackage files. GeoPackage tiles can be imported from or exported to a file system folder structure.